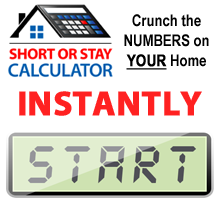 If you are interested in short selling your home but are wondering when the best time to do so is, the answer is now according to Las Vegas short sale realtors! Currently, there are many short sale incentive programs being offered to homeowners that short sale their properties and here is some information on a few of them. Some of these programs are dependent upon different things, such as who owns your loan, if you live in the property or not and how long you have lived there. One of the more well-known short sale incentive programs out there is the HAFA program. HAFA offers up to $3000 in relocation assistance if your lender participates in the program and your loan is not owned by Freddie Mac, Fannie Mae, FHA or VA. There a few stipulations to this program, such as your mortgage had to have originated before 2009 and it needs to be below approximately $730,000 on a single family home. One important thing about the HAFA program is it can be an investment property, however the $3000 in relocation assistance will go to the renter and not the homeowner. There are a few more terms with the HAFA program, so check with a short sale realtor if you are interested in taking advantage of this program. If you have a Freddie Mac or Fannie Mae loan, they both also offer $3000 in relocation assistance, but the home must be owner-occupied. If you have an FHA backed loan, known as the pre-foreclosure sale program, offers up to $1000 in relocation assistance. If your servicer is Bank of America, however, you could receive up to $4000, which is decided on an individual basis. There are many different short sale incentive programs out there right now, so if you are interested in doing a short sale and would like to take advantage of one of the programs, contact a Las Vegas short sale realtor today to see if you qualify.